If you loved 'Pyaar Ka Punchnama', you will love this new web series too. Home BOLLYWOOD Life Sahi Hai Pyaar Ka Punchnama If you loved 'Pyaar Ka Punchnama', you will love this new web series too. ‘Pyaar Ka Punchnama’ became famous for reasons more than one. The movie has no major star cast, and yet managed to set the box office records ringing because it was the tale of three young men and their sufferings in terms of their work life and love life, not to forget the famous ’ranting’ monologue about women. 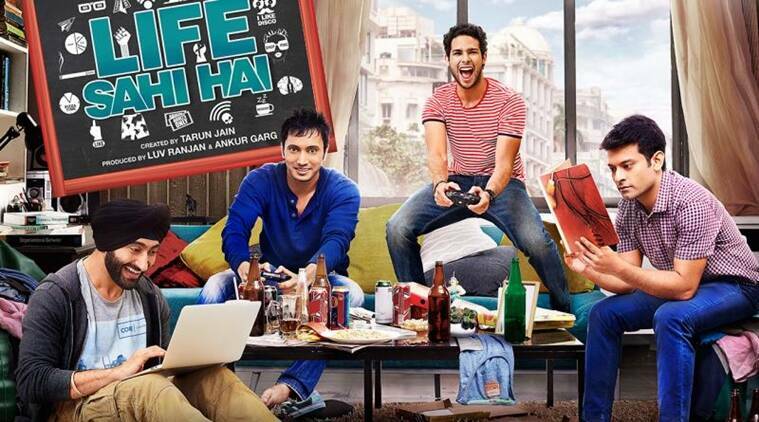 The makers of the hit movie are now back with a web series titled ‘Life Sahi Hai' which is a sitcom that revolves around the lives of four guys who have moved to Delhi to live independently for the first time. They end up in weird situations and the series tells the tale about how they deal with angry bosses, bickering girlfriends and everything in between. The trailer of the series looks quite funny and it seems that it will hit off very well with all the men!